Hotels in Sunny Beach, Bulgaria available for booking. Make reservations now! 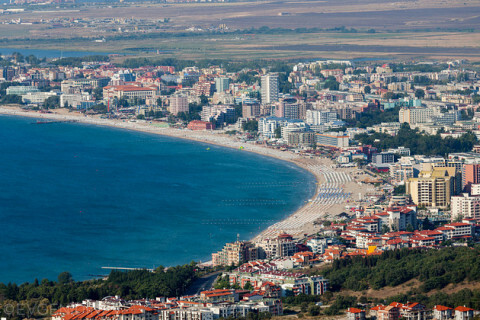 Sunny Beach is a Bulgarian resort (with over 200 hotel), which is located between the northern and southern part of the Bulgarian Black Sea Riviera, the Municipality Nesebar.Razpolozhen in a bay in the form of a crescent, facing east. The northern part of the resort is the last mountain heights of the Balkan Range, where it borders the town of Sveti Vlas. Its southern part lies by the ancient town of Nessebar. Pliska Hotel is located in the southern part of Sunny Beach, just 50 meters from the sandy beach. All rooms are equipped with air conditioning and a balcony. For an additional fee provides Wi-Fi in all areas.